We all want to walk out of the house every day with great looking hair. But sometimes reality hits and there simply isn’t enough time to create your desired look. This could lead to using temporary fixes, not using the right tools to protect your hair or developing other poor hair care habits. 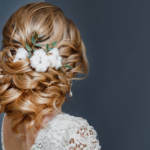 The key to a quality hair care routine is knowing exactly what products you need for the hairstyles you desire and a plan on how you are going to achieve the look. This will not only allow you to pull off the look you’re aiming for, but you’ll also protect your hair in the process. Here are some ways to style your hair daily without worrying about damaging it. Certain products are designed for certain hair types. Your stylist may have specific tips on ingredients to avoid for your hair, but you can never go wrong with using a great sulfate free shampoo. 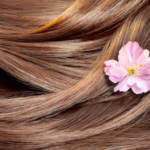 Shampoos without sulfate will help protect your hair without stripping the natural oils produced. The result is hair that’s easier to work with so you can style it quickly without having to fight it. For even more protection, incorporate a protective hair serum as well. The tools you use to style your hair could also be damaging it. If you have to use a tool with heat, find one with adjustable temperature settings and use it on the lowest temperature you can and still get great results. Constant heat applied to your hair can ruin a quality hair care routine because of the damage it can cause. 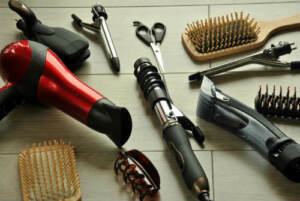 Blow dryers, straighteners and curling irons are the main culprits, so limit the use of these as much as you can. The less stress you put on your hair, the better it will look. When you’re in a rush in the morning, it’s easy to run a comb through it and add some product to make it look how you want. You could actually be compounding the problem by taking those actions. Instead, use your fingers to gently run through your hair. If you have to use a blow dryer, use a lower setting with lower heat. The gentle you are, the better your hair will look in the short-term and long-term. RemySoft is here to help ensure you walk out of the house every day with a hairstyle you feel confident in. A great hairstyle starts with a great quality hair care routine, and we can help you establish one as well. For more tips or information about products or hair care in general, don’t hesitate to contact us at any time.